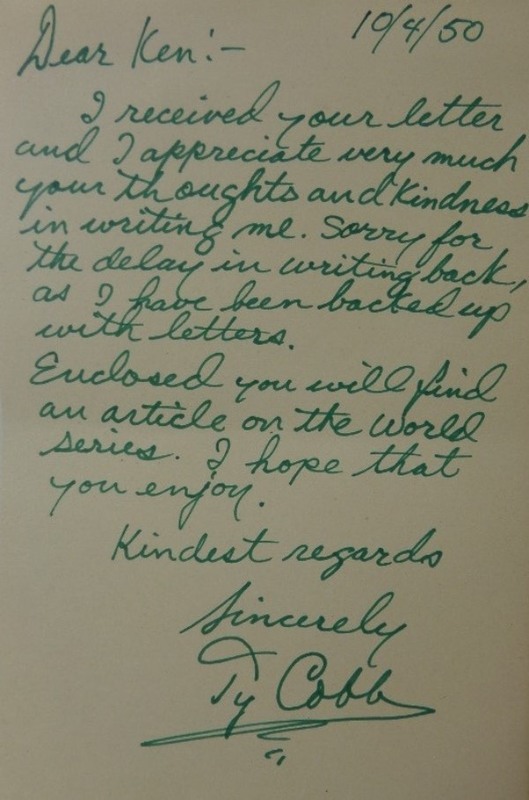 Coach's Corner - Ty Cobb hand-written letter from 1950 in green ink! Go Back to Lot List Ty Cobb hand-written letter from 1950 in green ink! This letter in on vintage off-white paper and is all written in Ty's own hand in his usual green ink. He has dated it from 10/4/50 at the top and it is a fan response letter and legible and nice. He has signed it at the bottom GORGEOUSLY and the letter is such a great display piece and ideal for framing.